Any GCV owners have any comments, remarks, or suggestions about the GCV Kriesler? Hey everyone, I am hoping to hear some first hand comments of anyone who has purchased the Kriesler from the fiddlerman site. This seems like an excellent instrument, comparable to others in the same price range like the Scott Cao violins. 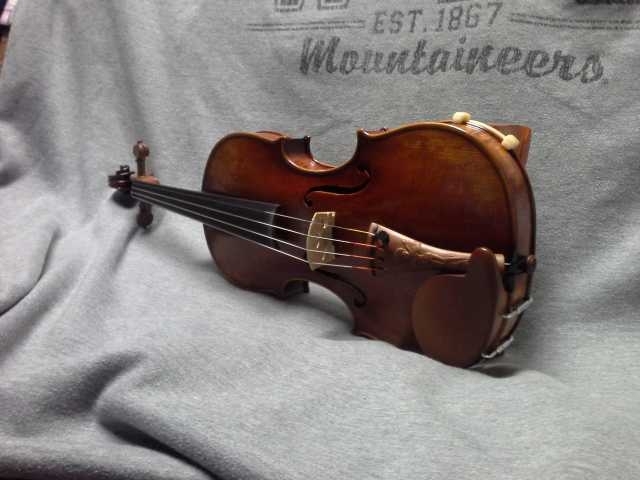 Unfortunately there seems to be a major lack of information outhere on these violins so I am hoping someone on here can provide some specific details of there experience playing this instrument and how other instruments that they have played compare to this one. 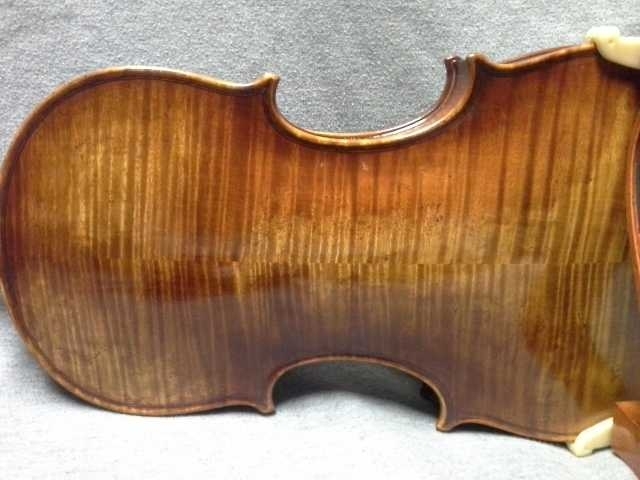 I have seen the Cremona Kriesler and although I did not play it I can tell you it is a beautifully crafted violin in every aspect of it. 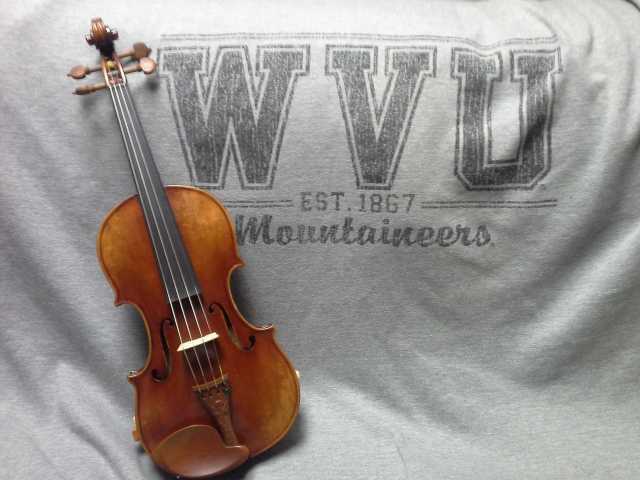 I have a Scot Cao and although it is a great violin the Kriesler would be my choice. This is not a pretty looking shinny new violin but crafted to replicate an old violin right down to the sound. As I said I did not play it but fiddlerman played it while I was there. What Scott Cao model do you play? The few Scott Cao's that I have played seemed to have sticky pegs and a rough varnish near the neck. That could have been the product of a bad set up though. What would you say a close equivalent to the gcv would be in quality? I'm pretty sure that at least some of these buyers are here on the site but who knows if they will see your post. I wish I could tell you that everyone has been satisfied but there has been one return out of all our sales for this violin. The person who returned it said it was too sweet sounding, don't ask me exactly what that means Obviously only a small percentage of people who buy instruments anywhere actually write reviews. We also had one exchange because of a crack. I suspect the violin was left out in the sun during shipping and was then exposed to a very dry temperature. In any case the crack was in a good place and easily repaired but of course we shipped a replacement to the customer. The Scott Cao violins are great but like Kevin said, not as beautiful. When we were first introduced to the GCV replica the distributor had a Scott Cao with him. I didn't like it enough to list it on the site. I've since then played on a few more and must admit that they can be great instruments. Like all instruments, they differ from one to another and new violins grow with time. Input from you is always appreciated. The fact that you have only had one return makes me feel better. I guess its the lack of recognition that makes me paranoid. The Scott Caos get a LOT of praise and I can understand it at the 750 model level, but not really the 850 level for the price. I suppose I just hate returning things so I am trying to make sure. At this price range I think I will be left choosing between the gcv and a Jay Haide that I found for around the same price. You are right about the reviews also I plan on doing a thorough review on each item I buy from you considering the good customer service I got. I need to go do one on The Slipper I just bought. I got the Kreisler in April this year. Beautiful violin, same with the sound. Really easy to play too. I haven't played alot of violins in that price range, but I can't imagine playing an other violin. It's just fits me perfectly in all way. As I said, I haven't been playing many other violins, so I can't really compare it with another violin. Even still its good to see a GCV owner speaking up. Any pictures of yours in particular? I have seen some that Pierre sent me but maybe others would like to see some other than those provided on the site. A part from the site I havent seen a pic of the flaming on the back and neck. I've the bridge that came with the violin. The fittings are of rosewood. I put on a set of Pirastro Gold Label on it. I put in some pictures of my violin, to you to see. Sorry, they are kinda bad cut. HP..I freaking love the looks of that violin.. so pretty.. thanks for posting pics. 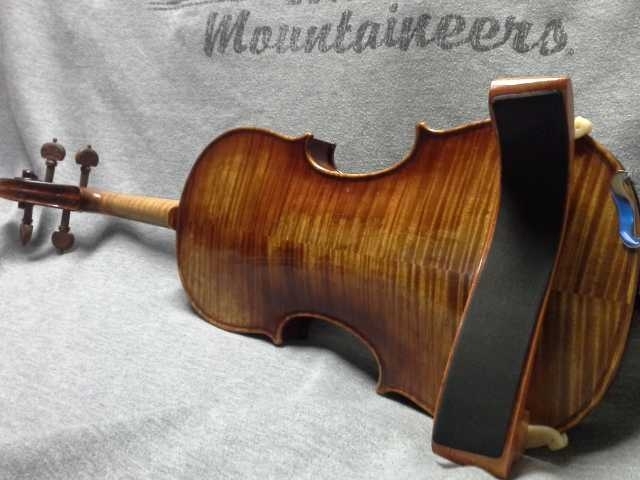 Nice to have you ask the questions Fiddlionist... because many have the same questions..and will be buying their long term violin in the next 6-months to a year..
Hatefulpain-do you happen to have any videos or sound clips on the forum yet? I've only one recording with the Kreisler. I'll probably put up some more later. Figured I better put up some pictures of my GCV I finally purchased from Pierre about a month ago. Just got done switching the E string to a gold label E. I am really liking the Zyex strings but recently the Zyex E has been whistling something awful. It just got colder here too so I am thing the dry weather has something to do with it. You are the only one with a GCV with Fiddlerman Soloist fittings. I forgot what it looked like. Thanks for posting the nice pictures. Yeah thanks for accommodating that, it definitely compliments the instrument. Everyone here looks at it like its a piece of art, always asking how old it is. It's been about a month now and it seems like it opens up more and more by the day. I don't have a Kreisler, but I do have a GCV Guarneri 1743 Cannon copy that's in the same class. It's easily the nicest, most versatile violin I have, and currently is strung with Pirastro Wondertone Solos. I think these bring out a lot more of its tonal nuances than the set it came with (Dominants, IIRC), but it's still well named--a cannon. I suspect the Kreisler is a bit brighter than the Cannon, but being from the same Replica series I would expect their quality to be equal. Incidentally, Fiddlershop's prices on these instruments made me blink, in a good way. I don't think you'd find a better value anywhere. I noticed Fiddlershop was selling the Cannon and the Mhing Jiang Zhu violins now. I was slightly disappointed that I didn't get to choose from these when I bought mine, but ultimately glad that he can have a wider high end selection now. I would agree the Kreisler probably is brighter, but I think personally I prefer it that way so that I can match it with strings that have warm characteristics and get the perfect sound I want. Im using Zyex with the gold label E right now. I tried the zyex E for a while.. which I may actually prefer the sound too over the gold label, however the Zyex E whistles really bad on my violin now. Gold label e hardly ever whistles on mine. I thought about choosing something with a gut core next time. I don't mind the extra tuning. You should post some pictures of that Cannon. fiddlionist, which one did you get again?